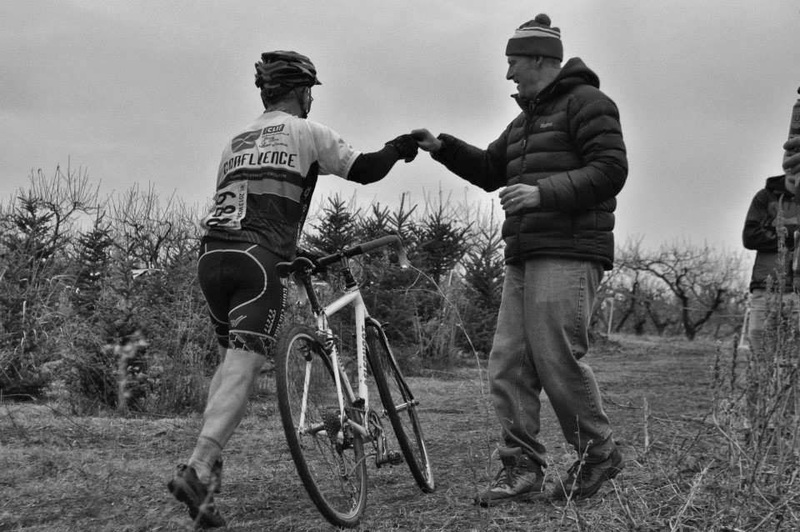 The penultimate race of the season was held at Walter's Fruit Ranch up on Greenbluff. 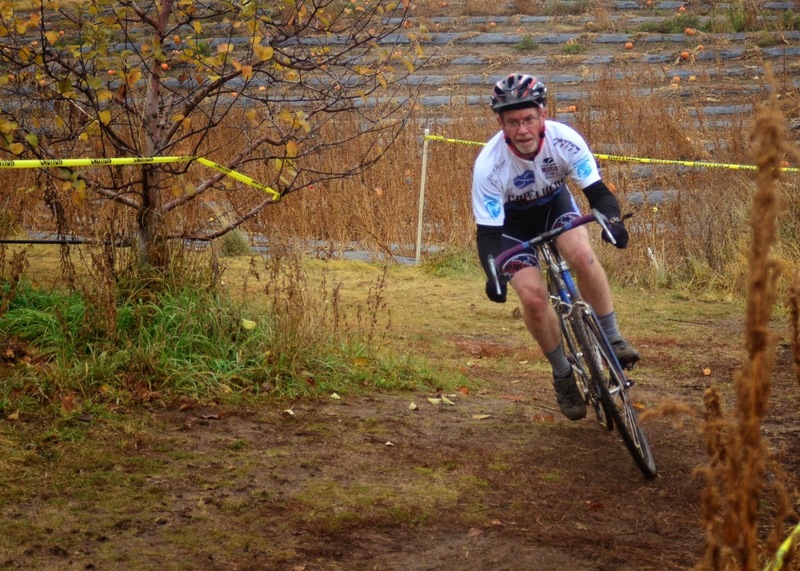 The course was soggy, muddy and bumpy with lots of climbing. At registration, Jessica, the lady I was battling with during the single speed race last week, got all up in my face. "Oh, it's on," she says. And she's wearing a superhero cape during the race. Too funny. The start, and the finish, was all up hill. Next came some really bumpy serpentine stuff which I handled really well. The run up was rideable by stronger riders, a group I am not a part of. To add insult to injury the course kept going up hill after the run up. During the races I found it was best for me to keep on running. Then we zipped through a fast down hill lane, a 180-degree turn, and slogged back up hill. Three times. A fourth time down again with a zig zag in the middle of it, another 180, and then about a third of a mile gradual climb that took you by the sheep pen and to the barriers. There was no way I was going to have too much speed going to the barriers. After that it was clear sailing back and forth through the apple orchard. Just to make it more fun, they put a really tight, momentum stealing turn at the bottom of the down hill just before going up to the finish. 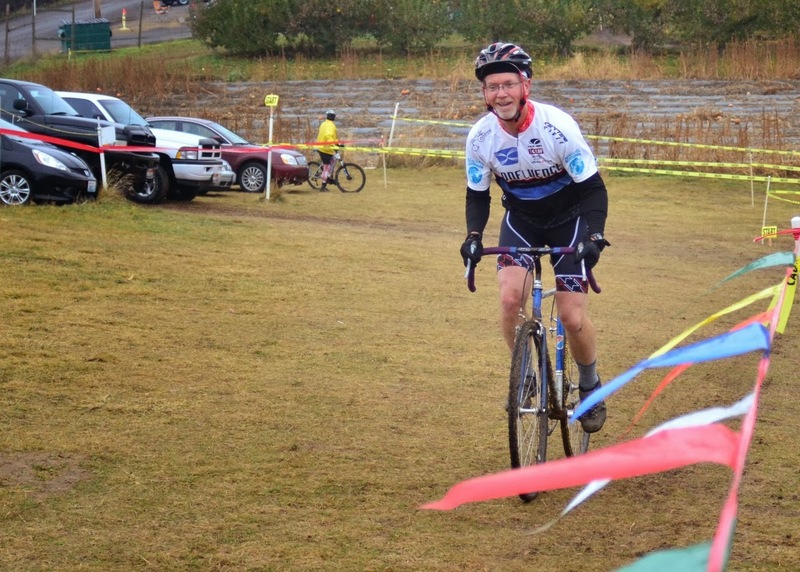 The course was tough on a single speed. With each lap I was standing on the pedals more and more. But it was fun. 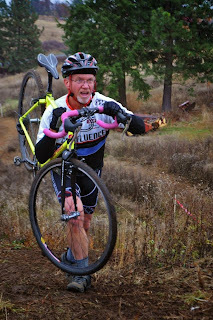 My friend, Brian, normally races the single speed. I saw him standing around without his kit on and without his bike. He had locked his key in his car. 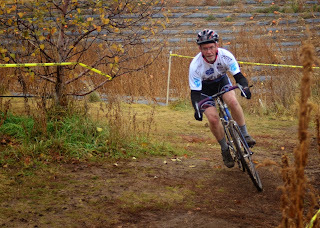 His wife was coming so he could at least race Cat 3 later on, but he wasn't racing now. I asked and he agreed to take pictures of everyone and I thank him for that. No beer was offered during the first race. Since when is it too early to drink? 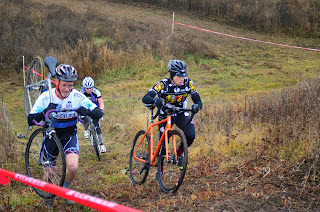 Cornering like the semi-amateur I am. 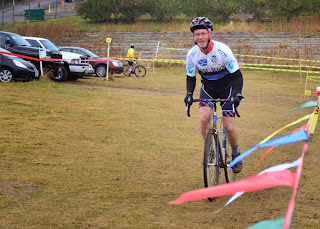 I was so happy to have gears during the men's masters race. The course was getting slicker but the Michelin Mud tires held like a champ even in the greasiest spots. I was at the back of the pack at the start but passed about eight guys in the bumpy twisty area that followed. While that may have looked impressive at the moment, it was all for naught as most of them passed me by and left me behind on the down and up hill straightaways after the run up. On the bright side, this time around there was beer at the run up. 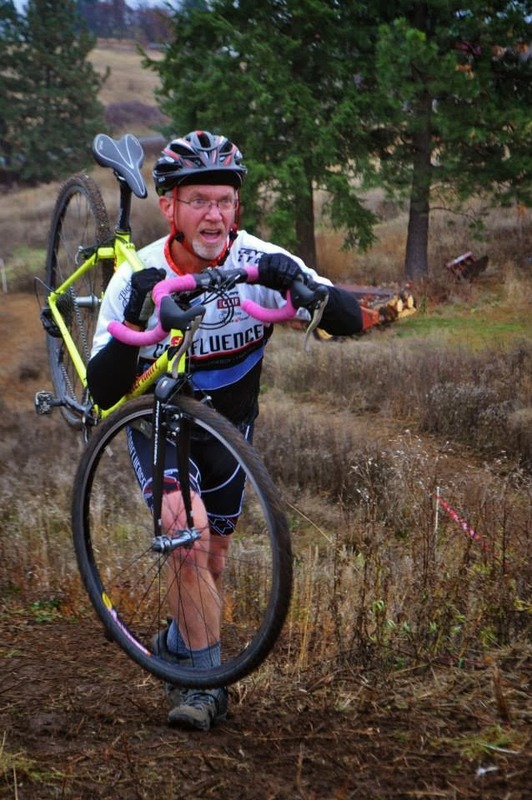 When you're racing just for the fun of it, the hand ups are icing on the cake. I also scored a beer after the barriers but it turned out to be the only one offered. Maybe they were getting low? I had a blast. Both bikes got really dirty. And there's only one race left. Back to Sandpoint next weekend. Tons of pictures posted on the INWCXS Facebook page.